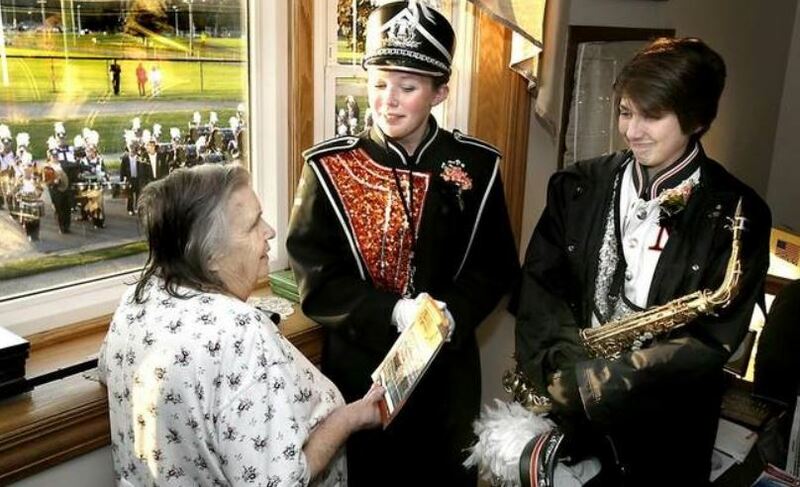 NORTH CANTON – Hoover High Marching Band performed for their “biggest fan” outside her home on Oct. 24, 2014, before the GlenOak-Hoover game in Memorial Stadium. For seven years, 82-year-old Patricia Noebe has waved from her house to the band as it marches by her home to the stadium. The band stopped at her house for a pre-game special performance. Noebe is suffering from congestive heart failure and arthritis.